The problem with Hadoop performance tuning is that it’s usually a very manual and time-consuming effort that must be constantly managed and maintained as the environment grows and changes. And even then, manual tuning on its own won’t let you achieve optimal cluster capacity. 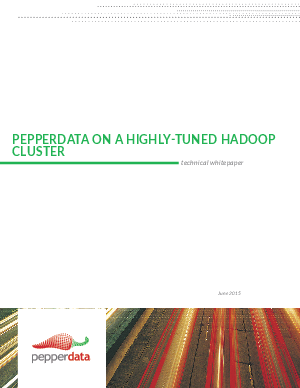 Using real-­time cluster optimization has helped Hadoop operators immediately increase cluster capacity by up to 50%. Download the whitepaper now to see how you can get started.